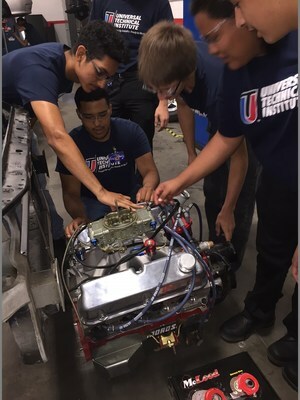 SCOTTSDALE, Ariz., March 7, 2019 /PRNewswire/ -- As part of its continued effort to address growing workforce demand for skilled technicians, Universal Technical Institute (NYSE: UTI) is bringing back Ignite – a free, summer program designed to give high school juniors an exclusive firsthand look at rewarding, high-tech careers in the transportation industry. Participating students receive intensive, hands-on technical training and the opportunity to earn credit toward a UTI program. Ignite will be offered at each of UTI's campuses nationwide. "We partner with more than 30 manufacturer brands and thousands of employers across the transportation industry and skilled trades, and they consistently tell us they need more trained technicians," said Kim McWaters, UTI President and CEO. "We're talking about high-tech, high-paying careers that literally keep our economy moving – and employers are desperate to fill them. The summer Ignite program exposes more students to the career and the power of technical education, showing them firsthand how exciting their training and future can be." 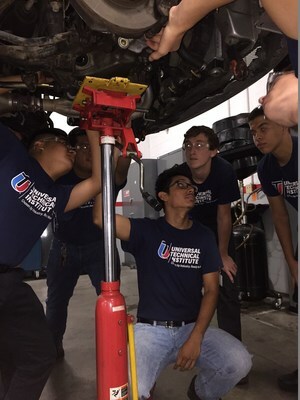 During the program's 3-week courses, Ignite participants are given a glimpse into the world of automotive, diesel, collision repair or motorcycle training – an introductory sample of the program completed by full-time UTI students. The Ignite curriculum emphasizes a career focused education that prepares students for the high-tech ever-evolving transportation industry of the future. Students explore career opportunities in the transportation field, receive hands-on training on today's latest technologies and learn from UTI graduates and local employers about the high need and earning potential for trained technicians. The Ignite program is now accepting applications across UTI's campuses. For more information or to enroll, visit www.uti.edu/ignite.